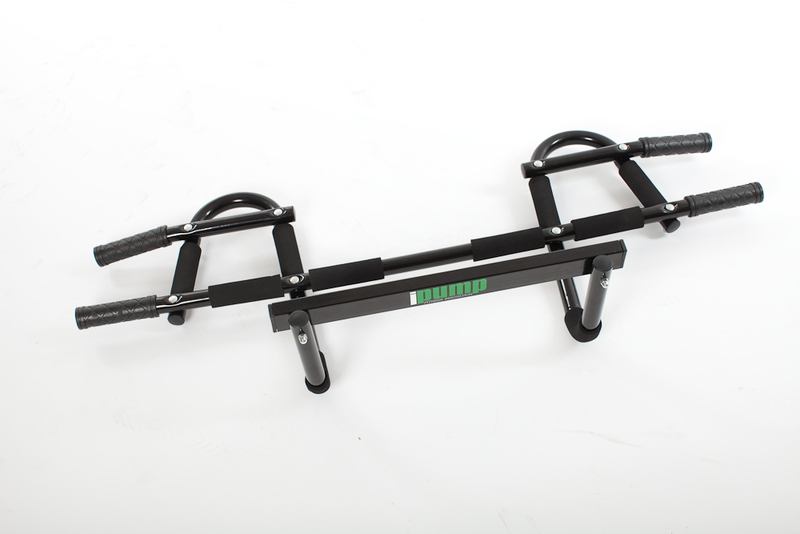 The iPump Bar is the perfect solution to get in shape and build muscle at home. The iPump Bar has a total of 12 different grips to allow variation for your home exercise plan. 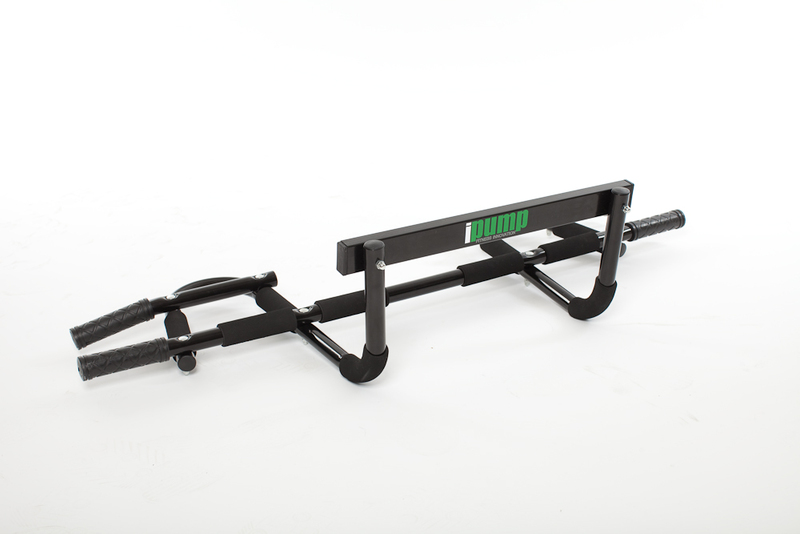 This iPump Bar can also be used to assist in performing sit ups and other abdominal core exercises by placing the bar at the bottom of the door frame. Placing the iPump Bar at the base of a door opening creates an anchor for your feet, allowing you to perform sit-ups. 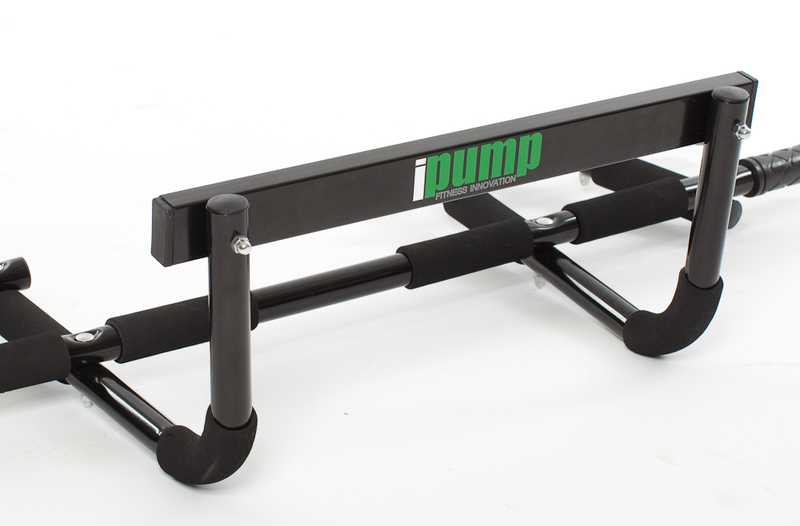 The iPump Bar is designed to fit almost any residential door, with internal door frame dimensions between 24" and 32", supporting up to 295lbs. Deep push-ups and triceps dips can be performed with the iPump Bar by placing it in the stand alone position on the floor. With just the iPump Bar you can strengthen your Core Muscles, Back, Biceps, Triceps, Fore-Arms, Chest and Shoulders all in the comfort and convenience of your own home. This piece of equipment will work your entire body! Exercise for just 15 minutes a day with this amazing piece of equipment and you will be amazed by the results! Please click below for Safety information.